First of all you need to set up LAMP on your Ubuntu machine. If you have not installed LAMP please install it. Read my blog Installing LAMP Stack on Ubuntu and Debian in Just 3 Steps to install LAMP and proceed with the further steps. Run the command 2 in your terminal to download the tar file in your home directory. Run the command 3 to extract the wordpress directory in your home directory. PHP has the capability to extend the language by installing different extension modules according to your needs and requirements. In this step we’ll install two PHP extension modules name gd and libssh2-php. 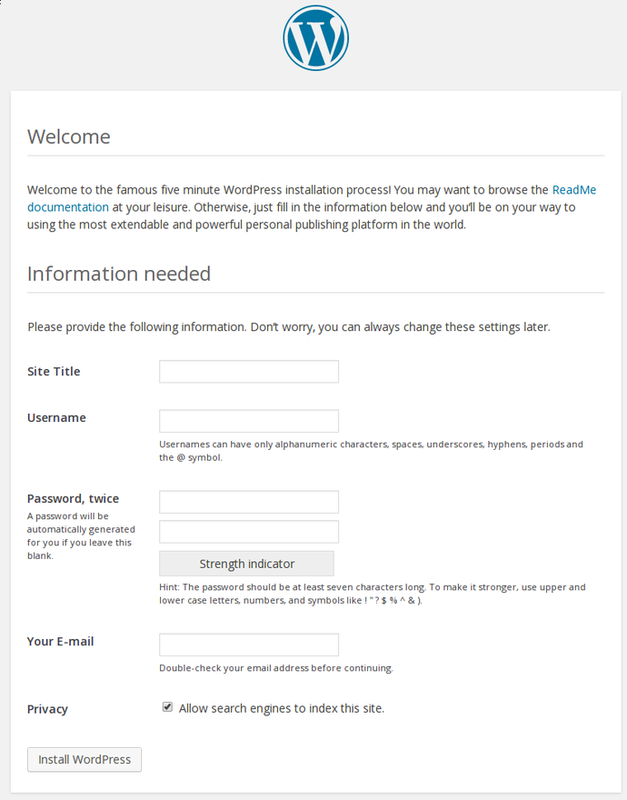 Note: for this section I suppose your wordpress directory is in your home directory. Our wordpress directory contains a file named wp-config-sample.php. 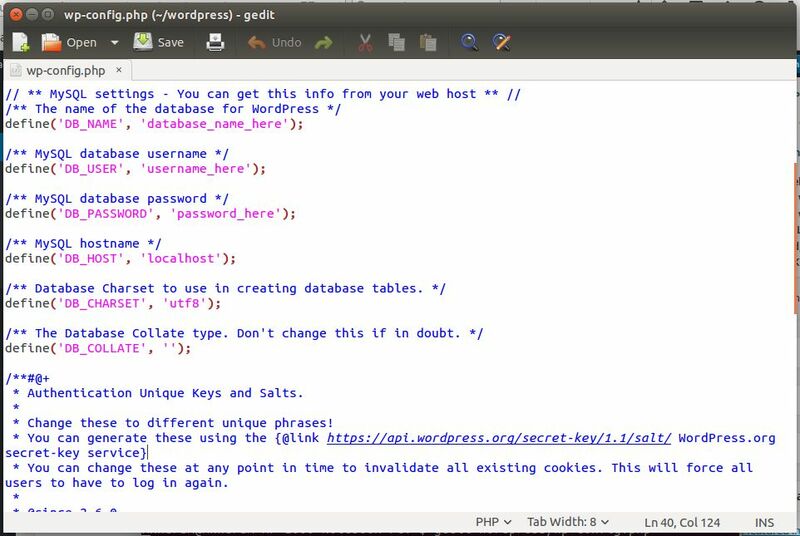 Save it as wp-config.php and open it in gedit. Run the following command to do so. 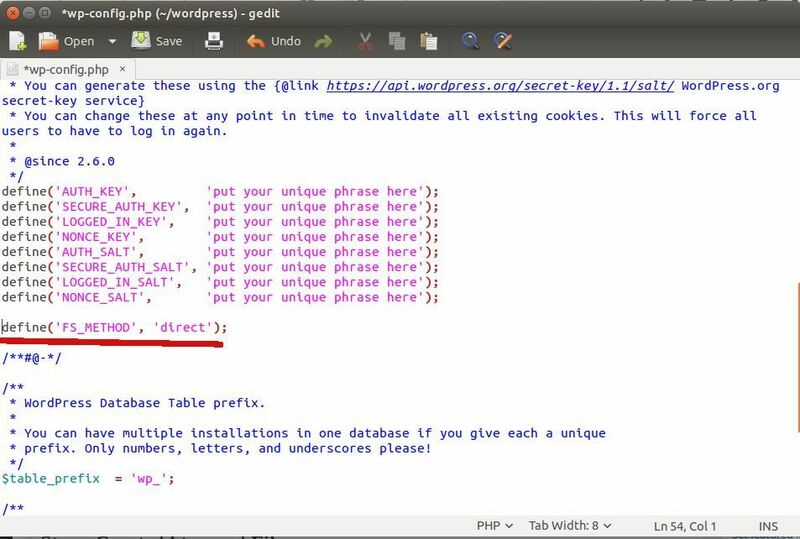 This command will assign the control of our wordpress directory to www-data user. This is a user web servers used to access the files. 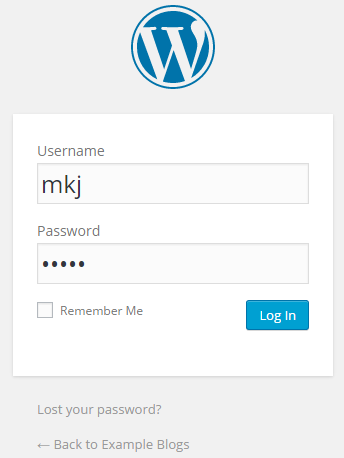 In this way the server would be able to write directly to our wordpress directory. Now our web server would be able to write in this directory. You’ve successfully installed WordPress on your Ubuntu machine. You can start your work immediately but if you are not happy with the default WordPress URL style and want to change then you need to do a bit more configuration. To learn about it read my blog Configuring the Permalinks in WordPress on Ubuntu. I think you are missing ‘sudo’ in your commands to make directory. As you don’t have permissions to write in /var/www/ directory. Only ‘sudo’ user can write in this directory. Use ‘sudo’ as described in step 7. Hope this would solve your problem. Can you please explain the second part of step 6. It says invalid user. What do i have to enter in the username part of it, and you said -Prompt to the wordpress directory in the root directory…- but in the root directory there is only a Desktop directory. I thank you in advance for your time. Root directory here refers to the root directory for Apache user which can be ‘/var/www/html/’ or /var/www/’ (you can read more about the Root Directory here and it’s not about the root directory of your Ubuntu OS. Now come to the username problem. There is an Apache user who need the permission to write in your root directory. 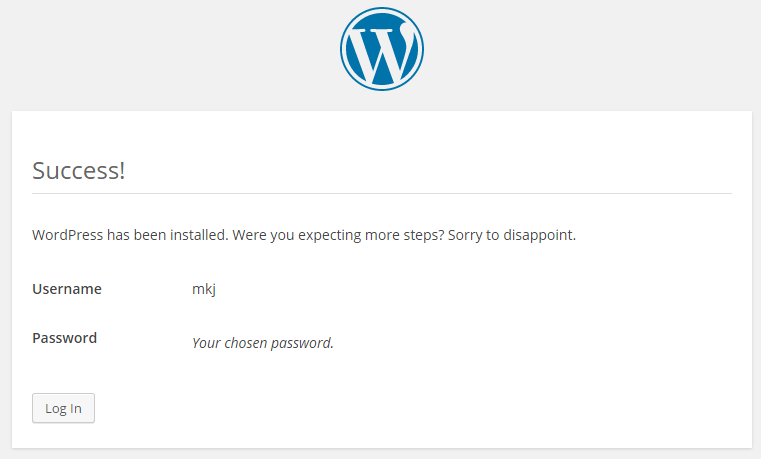 This user need to have access to write data in your “wordpress” directory. The name of the user Apache use here on Ubuntu is “www-data”. So you’ll just type the command as it is as given in the example and run hit enter. Hope this will sort out your problem. Feel free to ask if you stuck somewhere else in this post. You explained it perfectly in the main tutorial. It was a problem at my end, specifically, not knowing the correct username (Since it is not my machine). I am thankful for your help. This command is telling me invalid username what is the problem. You probably would be using the ‘username’ as your username, but you should provide your own username. You can use `whoami` command in your terminal to know your username.